Hiring wedding vendors is a big part of planning a wedding. Putting together a wedding is a lot of hard work. A wedding takes a lot of people working together to create the dream wedding, one which meets the brides expectations (hopefully exceeding them) and goes off with as few problems as possible. Whereas a lot of people close to you help with the wedding such as your family and friends, many of the helpers are strangers that we are paying to do a good job for our wedding. Who do you need to hire, who is available to help you? There are lots of vendors. If you want someone to do most of the work for you, you may want to consider hiring a wedding planner. They handle all the details of the event for you, but of course there is a price. If you plan to do most of the work yourself you will need to find, interview, choose and sign contracts with vendors on your own. That is a lot to deal with, but try not to worry to much. Take one task at a time, decide what you really want for your wedding. Remember that this is your wedding and you should be happy with all the decisions you make as well as all of the vendors you ultimately hire. 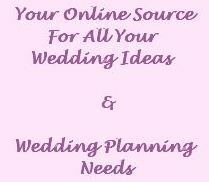 Wedding Vendors - What is a Wedding Planner? What Questions Should You Ask Before Hiring a Wedding Planner?